The following personal injury statistics can give you valuable insight into the most common causes of personal injury claims and how to avoid them. The most common cause of personal injury lawsuits? Traffic accidents. Most car accidents are caused by human error and negligence. When someone is injured in an accident due to someone else’s negligence, they typically have the right to file a personal injury lawsuit to recover their damages. The following are the most important statistics involving car accidents and personal injury that you should know. Every year, over 32,000 people are killed in the U.S. in car accidents. Another 2 million are injured in crashes, according to the CDC. 1 out of every 3 traffic fatalities involves drunk driving. In 2016, 10,497 people were killed in drunk driving accidents. 1 out of every 3 traffic fatalities involves speeding. 2 out of 3 people will be involved in a drunk driving collision sometime in their life, according to the National Highway Traffic Safety Administration (NHTSA). In 2014, over 10 million people reported that they have driven under the influence of an illicit drug in the last year. In 2013, seat belts saved 12,500 lives, according to the CDC, yet the U.S. still has a lower rate of seat belt use than other high-income countries. About 50% of passengers and drivers who die in accidents were not wearing seat belts. Preventable injuries are now the 3rd leading cause of death in the U.S. largely due to an increase in traffic accidents and drug overdoses, according to the National Safety Council. Distracted driving refers to driving while distracted with another activity such as eating, texting, or changing the radio. Distracted driving crashes are also a leading cause of personal injury claims. In 2015, almost 3,500 people were killed in distracted driving crashes and 390,000 were injured, according to the CDC. Cell phone use while driving causes 1.6 million crashes every year. Texting and driving is 6x more likely to cause a crash than driving drunk. While driving at 55mph, answering a text distracts a driver for long enough to drive the length of a football field. Texting and driving contributes to 1 out of every 4 car accidents. While 94% of teens admit that texting and driving is dangerous, an AAA poll found 35% still do it. 48% of drivers admit they answer their phone while driving and 58% keep driving while talking on the phone. Someone who suffers a work-related injury has the right to file a workers’ comp claim for benefits. In cases in which a third party aside from the employer was at fault, the employee can also file a personal injury lawsuit. Here is what you should know about work-related injuries. Almost 5,200 workers are killed on the job every year, according to OSHA. The “fatal four” in the construction injury include falls (38%), being struck by an object (9%), electrocution (8%), and being caught in or between objects (7%). The most dangerous occupations with the highest rate of fatalities include logging, fishing, aircraft pilots and engineers, roofers, trash collectors, steel and iron workers, truck drivers, and farmers and ranchers. Repetitive motion injuries caused by typing, grasping tools, and other repetitive tasks cause an average absence from work of 23 days. This is higher than average absences due to fire, transportation accidents, and falls. There were more than 25,000 work-related fatal traffic accidents between 2003 and 2016, according to the CDC. Slip and fall injuries can happen anywhere, including at home, at work, or in public. These accidents are a leading cause of workers’ comp claims and personal injury claims. More than 1 million Americans suffer a trip, slip, or fall injury every year. Slip and falls cause 17,000 deaths per year. Slip, fall, and trip injuries account for 15% of all job-related injuries. Slip and fall accidents are one of the primary causes of traumatic brain injuries. Traumatic brain injury causes 46% of fatalities among older adults who fall. About 1,800 seniors every year die in falls in nursing homes. Falls are the leading cause of death and injury among older adults, according to the CDC. Falls are responsible for 8 million ER visits every year. That’s 21% of all ER visits. Dog bites are common yet preventable injuries that injure, disfigure, and even kill hundreds of thousands of people every year. While most victims are children, anyone can suffer a dog bite from a dog they know or a strange dog. If you are bitten by a dog you do not own, the owner may be liable for your injuries under personal injury law. The following are the most important personal injury statistics you should know about dog bites. 6,244 postal workers were bitten by dogs in 2017, according to USPS. 4.5 million Americans are bitten by dogs every year. Half of them are children, according to the CDC. 2/3 of the dog bite injuries in children 4 and under are to the neck and head. State Farm alone paid more than $132 million for 3,618 dog-related injury claims in 2017 with an average claim cost of $36,573. 1 in 5 people bitten by a dog require medical attention. There were 41 dog bite fatalities in 2016. 71% of the dogs in these cases were pit bulls, 10% were labradors, and 6% were bulldogs. Pitbulls and rottweilers combined account for 77% of recorded fatalities making them the two most lethal dog breeds. This is due to their size and biting strength as any dog can bite. Accidents and injuries are an unfortunate part of all our lives. As we go about our normal daily routines, we may be the victim of someone else’s negligence, workplace injuries, sports injuries, and more. Personal injury law provides those hurt in this manner with a way to seek compensation for their injuries and accident related expenses. Below are some surprising accident statistics and some tips on how you may seek legal help if you are injured and need to cover your losses and medical costs. In the first half of life, statistics show that people die from car accidents more often than other causes such as illness. One reason for these statistics is distracted driving. According to the Center For Disease Control or CDC, 1,161 drivers are hurt and 8 are killed due to inattentive driving. With the advancements in technology the use of cell phones, GPS and other mobile devices has created a dangerous situation on the highways for many drivers. Another huge problem in the United States is impaired driving. Every year DUI (drunk driving) accidents cost more than $44 billion dollars. It is estimated that 1 person dies every 53 minutes due to alcohol related accidents. The CDC estimates that 5 people out of 100,000 die each year due to homicidal assaults and violent crime. HOW CAN THE LAW HELP YOU? If you were hurt in the above manner, you may have a valid legal claim. It is important to speak with an attorney at once to preserve your right to file a lawsuit. Being injured in an accident is never easy, but there are options available to you under the law. Contact a personal injury attorney today to discuss how to move ahead with your case. While money will not return your health, it can give you the financial resources to live a happy life after you complete the recovery process. It is estimated that 830,000 children die each year due to an accidental, or unintentional, personal injury. Males are twice as likely to be seriously-injured. Ninety percent of these injuries could have been prevented if the proper precautions would have been taken. There are several other important facts that you need to know about personal injury and children. Child restraints and seat belts greatly reduce the risk of serious injury. Safe driving also reduces the risk of serious injury. This includes things such as obeying speed limits, not drinking and driving and staying focused on the road. If your child has been injured in an accident due to a negligent driver, then you can contact a personal injury attorney. Four-hundred and eighty children in the world die from drowning each day. There are many things that can be done to prevent drowning. Parents and caregivers should make sure that children are supervised at all times. Children should also wear life jackets. If you have a pool at your home, then you should put a fence around it. Additionally, teaching your child how to swim can reduce the risk of drowning. Some studies have suggested that children can start taking swimming lessons before the age of one. However, even if a child can swim well, they should never be left unsupervised. The vast majority of suffocating incidents occur at home. Sixty percent of these cases occur in the child’s bed. Infants should be put to sleep on their backs. You should also make sure that the sheets and mattresses fit properly. Additionally, stuffed animals and toys should be kept out of the crib. It is estimated that 260 children die each day from burns. Even if the child survives the burn, he or she can suffer lasting pain from it. That is why children should be treated as soon as the burn occurs regardless of how minor it seems. Hot water temperature regulators, smoke alarms and child-resistant lighters can reduce the risk of a burn. You can hire a personal injury attorney if your child was burned due to negligence. Attorneys at the Gorospe Law Group Personal Injury Law Firm in Tulsa, Oklahoma stand ready to help you and your loved ones. Falls are the top cause of non-fatal personal injury in children. It is estimated that 2.8 million children visit the emergency room each year due to a fall injury. Fifty percent of these people were children who were under the age of 1. The vast majority of falls only cause minor bruising and scrapes. However, 130 children die every day because of falls. Properly-supervising children is one of the keys to preventing falls. You should also make sure that the playground equipment meets the safety standards. If You Need an experienced Tulsa Personal Injury Attorney call The Gorospe Law Group Personal Injury Law Firm Today! Texting and driving statistics are becoming more readily available, which is important considering the number of car accidents, car wreck injuries and fatalities that happen as a result of texting and driving. Cell phone technology is increasing at such a rate that the number of new cell phone users also grows by the thousands every year. With this new technology comes a lot of risks that we are now faced with, the following statistics are not pretty, they are actually quite scary. Statistics show that a person texting and driving is actually more likely to be the cause of an auto accident than a person who is legally drunk. This is a shocking realization considering we all know the crippling effects of alcohol when in comes to operating a vehicle or any other task demanding physical and mental ability. More and more we see people sharing the need and excitement to be constantly tuned in to popular social networking websites such as Facebook and Twitter to monitor and share what is going on in their lives and the lives of friends and family. The social networking web sites are not the only source of attention in these matters. The feeling or need for constant communication with family or friends, boyfriends and girlfriends or spouses by means of cell phone calls or texting is also to be considered. When a driver is busy on his phone while he is driving, the time he takes to react when the need arises is increased by a whopping 35%. When busy constructing a text, the steering capability of the driver is lessened by a staggering 91%, because he is not focused on the road properly. Some reports show that texting can increase the chance of being involved in an auto accident by at 23% at the very least. If that does not scare you, we don’t know what will. Imagine losing a family member to an accident because the other driver just could not wait to stop at a red light or pull in a parking lot to send a text message or update their social network account safely. Think of the lives already lost because of this lack of care. The Gorospe Law Group has represented innocent people that have been victims of a car accident due to another driver texting. Texting and driving is simply not worth the risk of causing someone injury or death. Please think before you text and drive. If you are the victim of someone that caused you personal injury because of texting and driving, give us a call. We are experienced personal injury lawyers in Tulsa, Oklahoma and we are experienced in car wreck and automobile accident injury law. 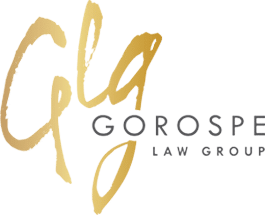 If you or a loved one has suffered a personal injury, The Gorospe Law Group personal injury law firm in Tulsa, Oklahoma can assist you to help you claim the compensation you deserve. July 24, 2018 July 24, 2018 |BY Gorospe Law GroupInsurance Claims: Better to Hire an Attorney or Go it Alone?